Ohioans – Is your right to own hedgehogs or other small exotics in jeopardy? This is nothing more than a memo to the Governor's office. It is not legislation, and it is still very vague. Until we see the actual bill, there are many unanswered questions. Please take a few minutes to call 614-466-3555 and ask to speak to someone about the "dangerous wild animal" or "exotic animal" regulations. Try and get the name of the person you end up speaking to. Tell him or her that you object to the Governor's plan to eliminate these animals from the state of Ohio and that you have contacted, or will be contacting, your State Representative and Senator to express your opposition to this plan. Be courteous. Let me know what sort of response you get. Please do your part and become a member of OAAO! A proposed ban on private ownership of exotic animals in Ohio beginning Jan. 1, 2014, ran into legislative opposition as soon as it arrived yesterday. State Sen. Troy Balderson, a Zanesville Republican expected to sponsor the proposed legislation, said he sees good things included in the recommendations from a specially appointed committee. But he said: "I don't want to ban exotic animals. Ohio has the most-lenient laws in the country, and we need to do something about that. We need to protect people. We need to protect small-business owners, and we need to protect the animals." Balderson said his home in Muskingum County is about 7 miles from the site where on Oct. 18 law-enforcement officers killed 48 animals, including bears, lions, tigers and wolves, that had been set free by their owner. Terry W. Thompson committed suicide after releasing the animals. Six surviving animals remain in quarantine at the Columbus Zoo and Aquarium. "I know people that live on that road," Balderson said. "But not everybody out there is like Terry Thompson. There's a lot of good people out there now with animals that are USDA (Department of Agriculture) regulated." 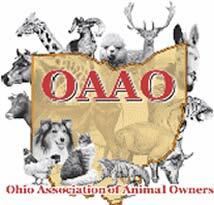 Ohio Senate President Tom Niehaus, R-New Richmond, expressed concerns about a recommendation to empower authorities to seize animals on the restricted-species list if owners don't voluntarily give them up by the 2014 deadline. "I'm not sure what the legal issue is there, and if that could be considered a 'taking,' " he said, referring to a legal term on depriving an owner of the use and enjoyment of his or her property. "I want to make sure we're not doing some things that are too much of a reach. If they're being well taken care of or housed properly and not posing a danger to others, we have to ask questions about whether it's appropriate to remove those animals." The prohibition on private ownership of exotic animals is the heart of a report submitted yesterday to Gov. John Kasich and legislative leaders by a committee representing government and animal-interest groups that was appointed by the Ohio Department of Natural Resources. The committee did not take a vote on the proposal at its final meeting on Nov. 21. At least one member said she would oppose it. Action by the General Assembly on the recommendations is not expected until after Jan. 1. Animals on the banned list include panthers, hyenas, lions, tigers, primates, elephants, rhinoceroses, giraffes, hippopotamuses, crocodiles, pythons, boa constrictors and wolf-dog hybrids. Natural Resources Director James Zehringer said the proposed rules, had they been in place earlier, would have prohibited Thompson from owning his personal menagerie. "He obviously wouldn't have met our standards," Zehringer said in a conference call with reporters. "We're moving forward with our standards. They're going to be very, very tough standards. ... Casual ownership like that wouldn't have met these standards." Under the proposal, owners would not have to get rid of animals on the list before 2014, but they would have to register them within 60 days of the effective date of the law. If the animals aren't turned over by the deadline in two years, they would be "subject to immediate confiscation and forfeiture," under the proposal. Also, all public auctions of "dangerous wild animals" would be prohibited. There would be "civil and criminal penalties for improper release, illegal possession and other violations," the report said. The Ohio Department of Agriculture would oversee restricted-species enforcement. ORLANDO, Fla. — Ohio residents have "no excuse" for owning exotic wild animals, Gov. John Kasich said, challenging fellow Republican lawmakers who question the need for a full ban.
" Unless they are a sanctuary, unless they're connected to a zoo, unless they're an official breeder and they are registered, there is no reason for them to have these animals,"Kasich told The Dispatch today.
" Why would you have a mountain lion? Why would you have a grizzly bear?" Kasich said. "You want to go see a grizzly bear? Go to the zoo. Go up for a hike up in Glacier Park, and pray you don't see one." " This is not about private property," Kasich countered. "This is about public safety." Kasich said there could be more than 500 big cats in private owners' hands in Ohio now and the state doesn'n t have the capacity to house them — one of the reasons he supports the two-year delay before a full ban takes effect. Saying he's worked extensively on the proposal with Jack Hanna, director emeritus of the Columbus Zoo and Aquarium, Kasich promised to "scrub down" the recommendations, make them tougher and deliver legislation to the General Assembly soon. Lawmakers will hear from Hanna, the Humane Society and other influential groups that support the ban, Kasich said. Wayne Pacelle, head of the Humane Society of the U.S., said he is encouraged by the recommendations: " While there remain some open questions for the legislature to resolve, the recommendations make it clear that dangerous exotic animals have no business in private backyards and basements. What's needed ... are strong rules to ban auctions, to stop casual ownership and to limit private possession of these animals to accredited zoos and sanctuaries." Britton said she doesn't want to think about what owners might be forced to do if the law passes and they have to get rid of their animals in two years.
" If they haven't been able to sell them or give them away prior to that date, I don't see any alternative other than to let the state confiscate and kill them," Britton said. Owners would not have to get rid of animals on the list before 2014, but they would have to register them within 60 days of the effective date of the law. Animals not sold or moved out of state by the deadline would be "subject to immediate confiscation and forfeiture,"under the proposal. Public auctions of "dangerous wild animals" would be prohibited. The Oct. 18 incident that sparked a national uproar over exotic pets in Ohio —when Terry W. Thompson set 56 lions, tigers, leopards, bears and primates free at his Muskingum County home before killing himself — was a "tragedy" that "could have been a full-blown disaster had one of those animals attacked a child on the playground," the governor said.